Check out Craig's interview on "The Fourth Valve"
Thank you for visiting my website. 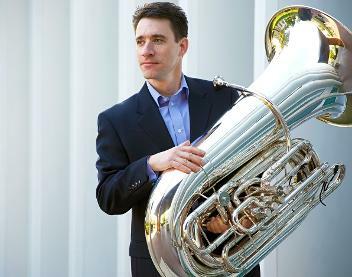 In these pages you will find information about my performances and recordings as Principal Tuba with the Pittsburgh Symphony Orchestra and other ensembles, as well as my activities as a chamber musician, soloist and educator. In addition to information about my schedule, I've tried to include ideas and advice which will be of particular interest to students of the tuba and other brass instruments; please visit the RESOURCES page, where I hope that you will find answers to many questions you may have about the art of brass playing and life as a professional musician. Information about my teaching studios at Carnegie Mellon University and The Curtis Institute can be found under the TEACHING page.